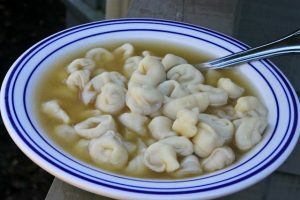 3 Italian Dishes you can’t live without! 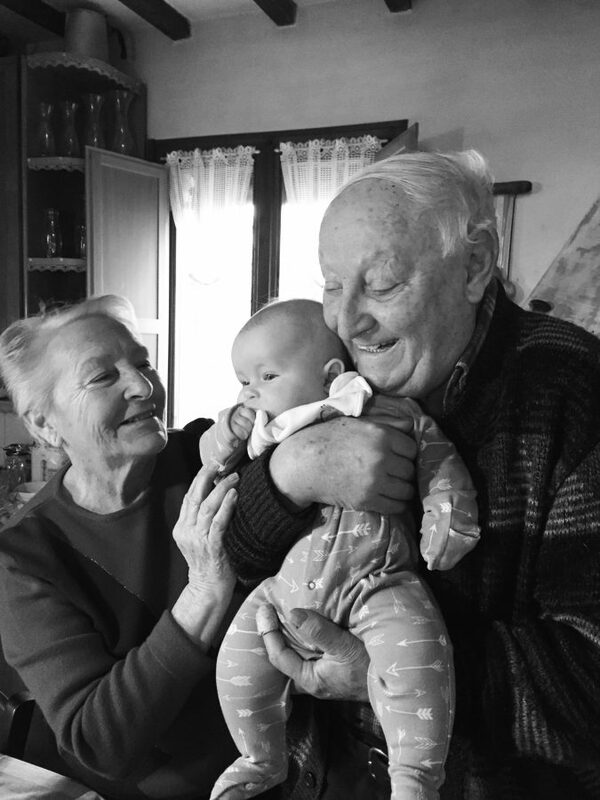 Being half Italian (on my dad’s side), my favourite time of year is when I pop over to see my Nonna and Nonno, who live on a farm on the outskirts of Ferrara. Now, it goes without saying that food is important to Italians, but ‘important’ is an understatement in the Martinelli household, IT IS LIFE. They eat, sleep and breathe food – with my Nonno having a cellar full of home-made salami and my Nonna taking great pride in telling me how many eggs she used in the freshly made pasta. 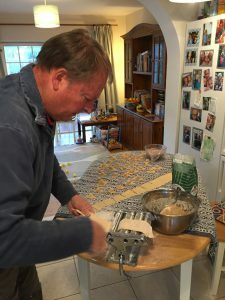 So, here are 3 of my absolute favourite dishes to eat if you happen to be holidaying in Bella Italia (namely in the Emilia Romagna region) this year! This is just delicious. 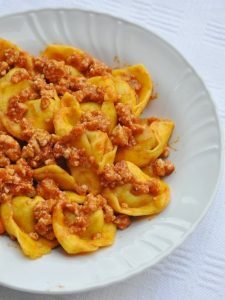 It is pasta filled with zucca (pumpkin), topped with a Bolognese ragu. Having made it myself, the filling is a simple combination of pumpkin with egg and parmesan (I added crushed Amaretti biscuits as the pumpkin was not sweet enough). The sweet taste of the pumpkin is complimented perfectly by the saltiness of the Bolognese, and is no doubt my number one pasta dish out there! Throughout Emilia-Romagna are food stands, where piadina (flat bread) is grilled to order and sandwiched around a variety of tasty fillings, like cheese and prosciutto. My absolute favourite has to be filled with lashings of salty prosciutto, milky, fresh ricotta cheese and a little rocket. Cappelleti literally translates into English as ‘little hats’ which is what they resemble. This scrummy dish is again a stuffed pasta (this time with meats), but is cooked in a both. We make this every Christmas as a family and every mouthful is savoured as I usually have to wait a while before the next dish rolls round!